Coincidentally, the alleged offender had also posted negative comments on social media, but the targets of those comments were match officials, not LGBTQI people. Initially, the misconduct was considered by an investigating officer. After he determined that, on the balance of probabilities, an act of misconduct had occurred, it was referred to me. As specified by my rugby federation’s disciplinary regulations, I dealt with the alleged misconduct under the World Rugby Regulations, specifically Regulations 18 and 20. For Folau’s misconduct (I am assuming an investigating officer and code of conduct committee agree his action was misconduct), Rugby Australia will need to follow the same procedures and principles, notwithstanding its own code of conduct that may be more restrictive than World Rugby’s. A point to note is that, while WR regulations refer to judicial committees when considering misconduct hearings, RA regulations refer to code of conduct committees. Arguably, the RA code of conduct wording is vaguer than the WR code of conduct when defining misconduct in the context of statements regarding discrimination against people of a different sexual orientation, and it will be interesting to see how the RA investigating officer and code of conduct committee interpret the word ‘treat’ in their reports. One important point to remember is that the investigating officer and code of conduct committee are independent, so while they are affiliated with RA, they should be impartial to RA’s views and opinions when deciding. For argument sake, let’s speculate that the committee sanctions Folau, but only to the extent that he is suspended or fined. What, if anything, can be done if RA believe this type of sanction is inadequate, as I think it probably would? Well, RA would need to appeal the decision; in which case it would be heard by an appeals committee that would have absolute discretion to modify the sanction. 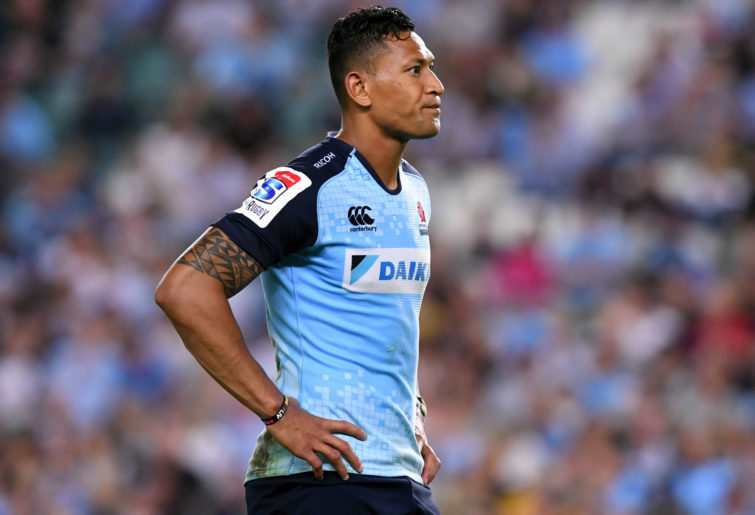 But let’s further speculate that such an appeals committee does not modify the sanction to the extent that Folau is expelled from Rugby – what else could be done to ensure that RA’s intention? Fortunately, WR can step in. In fact, WR has a very broad right to step into any matter that is subject to its jurisdiction, at any time, including RA disciplinary matters. Generally, WR will allow the relevant union to exhaust its processes and procedures before stepping in, and that will almost certainly be the case with Folau’s RA hearings, but this trigger would then allow for a new investigation and hopefully different decision. It is impossible to determine what decision the WR committees might make regarding Folau’s sanction, but I and many others believe that if RA’s attempts fail, it would be in the interests of Rugby for WR to take a firm and unambiguous stance against Folau and his unnatural, outdated, and incredibly harmful actions and opinions and remove him from the Rugby equation.